If you are looking for some creative tube packaging boxes for you essential bottle of 50 ml, then this one will be you good choice. This box uses the common choice of material: 200g cardboard paper and applies on it 60g black paper as decoration. On the black paper, in this presenting sample, we put a motif of flame conception, realized by CMYK printing, to give a feeling of motivation and enthusiasm: you got it, this is a typical theme for sport, youth and positive lifestyle, which in line with the impression of essential oil. Based on this package conception, we can offer a series of product with different themes as to target different market segments. 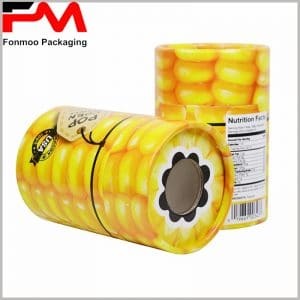 As we are professional provider of packaging box, especially tube packaging box for a long time, you can be ensured that our price will be the best with very flexible order condition. Just don’t hesitate to tell us what you need and let us do the rest of the work, to offer you your best creative essential oil packaging tube box.